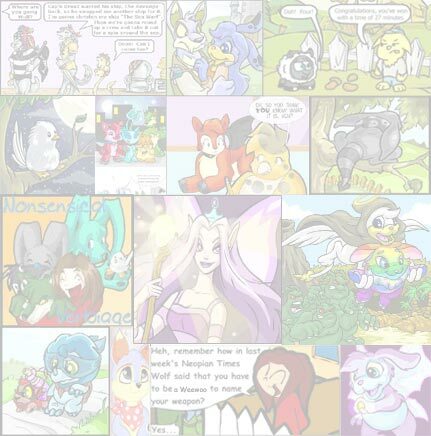 The Neopian Times Week 52 > Articles > Very Funny? FAERIELAND - Why is everyone so unkind to Dark Faeries? They can't deserve all the punishment they get for things, can they? If anything ever goes wrong in Faerieland, the finger is always pointed at the Dark Faerie. The Dark Faerie did it! The Dark Faerie stole it! Who took the cookie from the cookie jar? The Dark Faerie! Why? I mean, sure, they're not as gentle as the Earth Faeries, as adorable as the Snow Faeries, as generous as the Tooth Faeries, as beautiful as the Air Faeries�. well, you get the point. But with the exception of Jhudora, could the average Dark Faerie really be quite a pleasant companion? That's where Kakukukki my Kacheek and I came in. We were determined to find some good in these elusive creatures, so we decided to set off in search of a Dark Faerie home. As luck would have it, we knew of a small cottage in the Spooky Woods that belonged to a pesky Dark Faerie called Natzaka. "Hiya, pleased to meet you!" Natzaka chirped as soon the door swung open. She beamed all over her face and stuck out a pale green hand for Kakukukki to shake. I was confused. Whatever happened to the intimidating, spooky Dark Faeries? Kakukukki shook the offered hand. Her mistake. Buzzz! Natzaka raised her hands, revealing a previously concealed buzzer. She collapsed in giggles on the grassy floor, while Kakukukki hastily wiped her paw on her coat. "If you don't mind," Kukki said importantly, "I'd like to ask a few questions. For the Neopian times, you see." "Of course!" Natzaka exclaimed, stifling her giggles. "Do have a seat." She pulled out two chairs, and poured us each a mugful of a vile looking liquid. Kakukukki sipped it cautiously, then dropped it, squealing, when she felt something slimy and cold touch her lips. Natzaka shrugged apologetically, grinning. "I couldn't resist dropping a baby Mortog in there. Sorry!" Kakukukki watched in silent amazement as her mug hopped slowly away, then jumped into a nearby stream and was carried away by the current. Eventually, after uncovering many more of Natzaka's practical jokes, everything seemed ready for the interview. Kakukukki took out her brand new notebook and sharpened her pencil. After she realised it was a trick rubber one, she glared angrily at Natzaka, took out her back-up pencil from her front pocket, and the interview began for real. Kakukukki: Ahem. Natzaka, do you enjoy being a Dark Faerie? Natzaka: Don't worry, you're doing brilliantly. Kakukukki: OK then. So what is best about it? Natzaka: Well it's really good camouflage - so my colouring really helps me when I'm playing pranks! It's easy to jump out at night and scare people because I'm hidden in the leaves! Natzaka: That's the whole point, silly! Loads of my friends do it too. It's all part of the fun! Kakukukki: Oh. How do you feel about some Neopians stereotyping Dark Faeries as 'wicked' and 'evil'? Natzaka: It's all Jhudora's fault. She sits up on that filthy cloud, making potions, scheming and plotting like some kind of witch, instead of having fun! Well, it must be her - she's so ugly, she'd scare anyone away. Kakukukki: Do you mean normal Dark Faeries don't use any potions? Natzaka: Well, we don't really use potions that often. They're a bit old-fashioned really. We use spells, but they're not EVIL, they're just - a teeny bit� bad? But as, I said, being naughty once in while is great fun! Kakukukki: Do you get on well with the other faeries? Natzaka: Well some Fire Faeries are great fun to be around, as they're not scared of anything! Air Faeries are OK, but they're really vain and stuck up. Water and Earth Faeries are just too nice to get involved in any of our pranks. Kakukukki: I'm just curious, are the Dark Faeries secretly plotting to overthrow Fyora, our Faerie Queen and rule over all Neopia? Kakukukki: Um� that's good to know. So� what about Balthazar? Rumour is a few of you guys turned him against all of the faeries, and made him evil. Natzaka: I really don't know what that's all about. 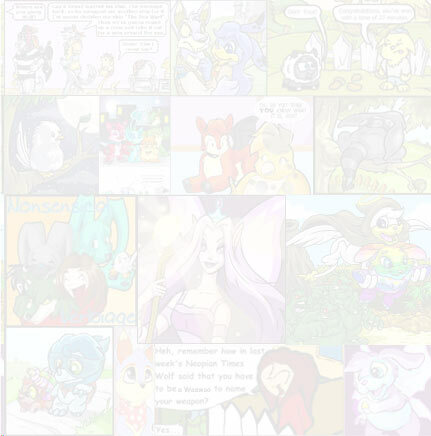 I don't know anyone who'd hurt Neopets. That's cruel. We just like making mischief! Kakukukki: Mischief? Not MORE mischief? I mean, is that all you do? Natzaka: You have to admit, it is pretty funny. Only yesterday, I sprinkled itching powder into Judge Hog's superhero costume. Kakukukki: Well, I'm glad that you're done with pranking us for the day. Thank you for answering those questions, but we've got to go now - it's getting late. *tries to get up, and fails* Natzaka? Why can't I move? Natzaka: Well� um� I got bored� and I kind of super glued you two to your chairs. But it'll wear off in a few days! I swear! Unfortunately, the interview had to be ended abruptly as Natzaka was assaulted by an enraged red Kacheek brandishing an extremely dull pencil.